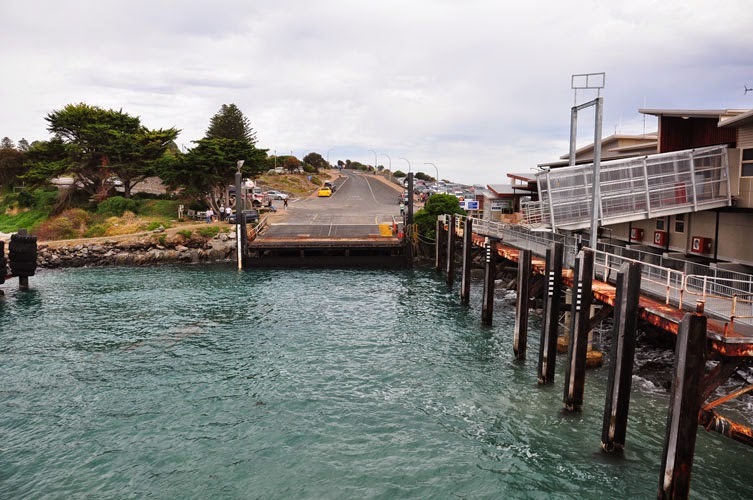 There is no bridge to get to Kangaroo Island which is just off the mainland of South Australia, so you need to fly or go via ferry! 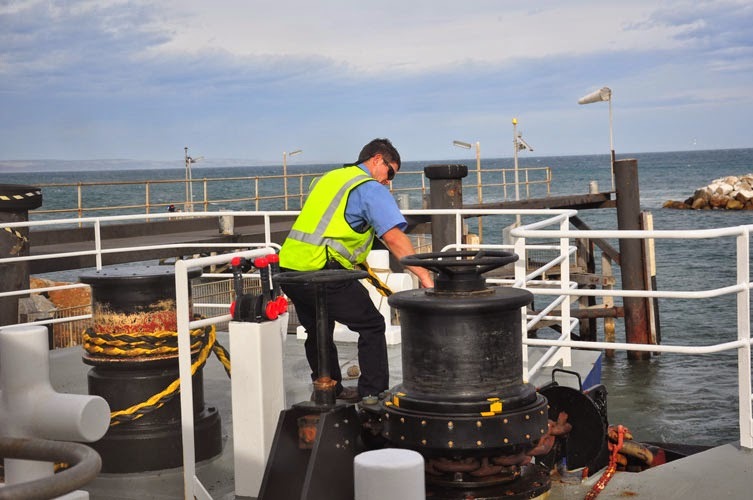 The easiest is of course the ferry ... so you need to book via SeaLink which departs from Cape Jervis for Penneshaw every day. 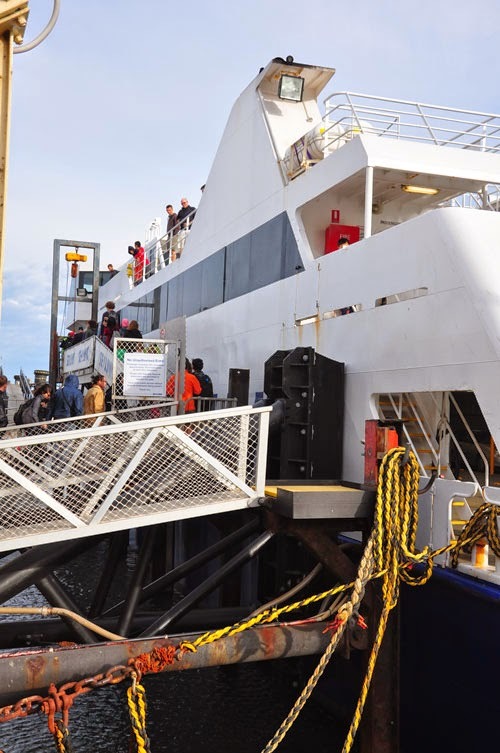 There are up to 12 ferry services each day, but do check the timetable especially during busy holiday periods. 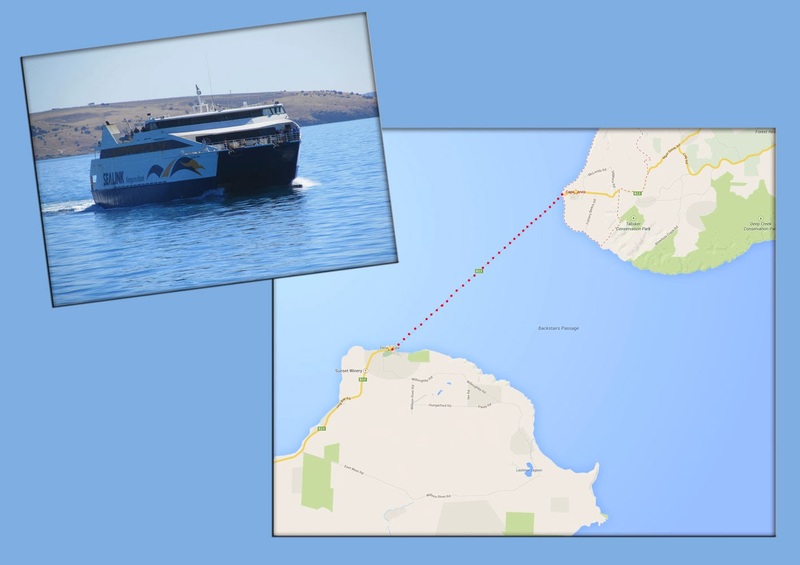 SeaLink’s two modern, air-conditioned car and passenger ferries, Sealion 2000 and Spirit of Kangaroo Island take just 45 minutes to cross Backstairs Passage between Cape Jervis and Penneshaw on Kangaroo Island. 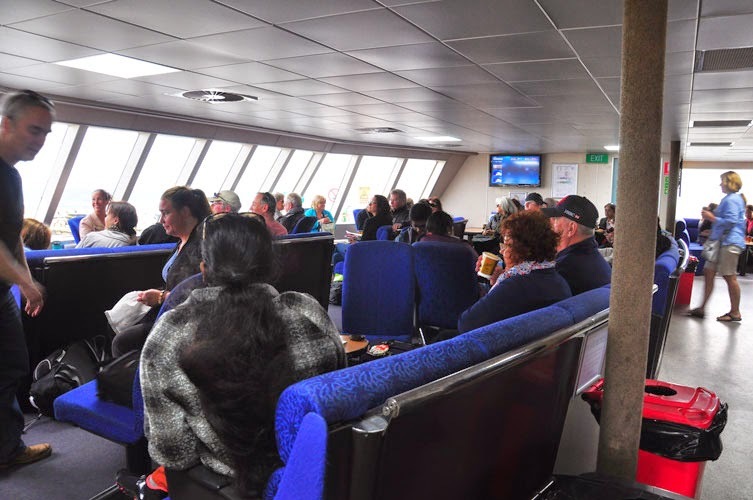 Both ferries are twin-hulled catamaran ferries complete with air-conditioned lounges, comfortable lounge or café style seating, a licensed café serving great cappuccinos and fresh snacks, outdoor viewing decks, wheelchair access, disabled toilets and baby change facilities. 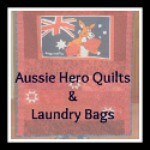 There is a cafe serving coffee and snacks, free WiFi, restrooms, tourist information and booking services. 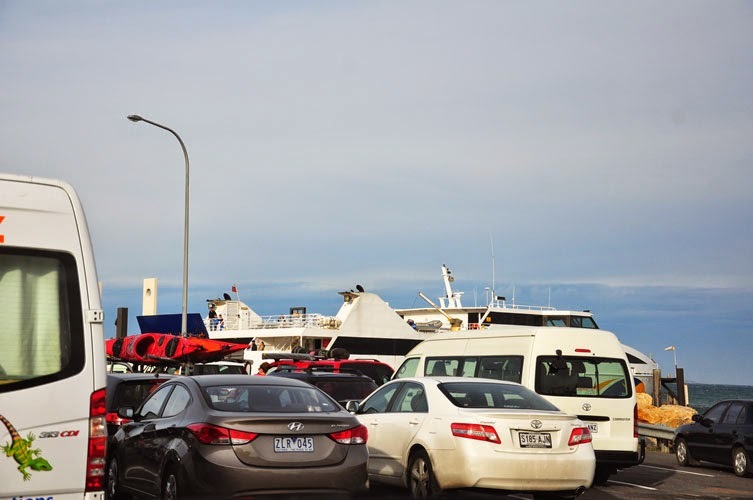 When you arrive at the Ferry Terminal with your vehicle you must wait in the designated area. 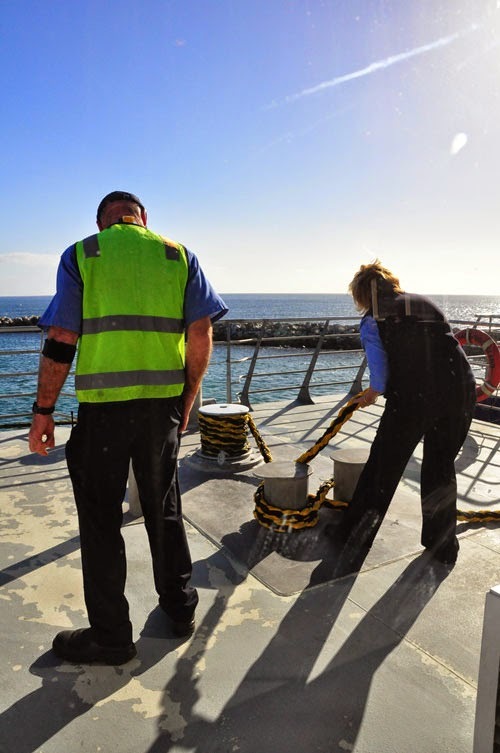 Decide who is going to be the driver before obtaining the boarding pass. 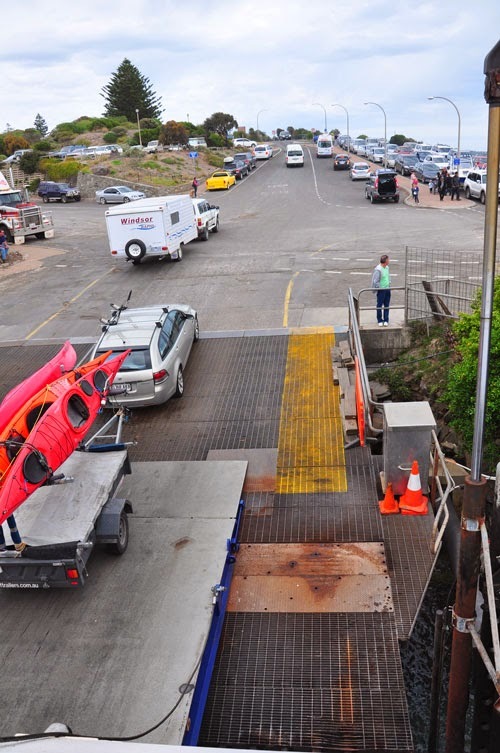 If you are towing a caravan, trailer, camper etc you will need to reverse the vehicle onto the ferry so it can be driven straight off at the other end. On arrival at the terminal, the passenger will need to go to the Check-in Counter in the terminal with the booking number to obtain the BOARDING PASS. 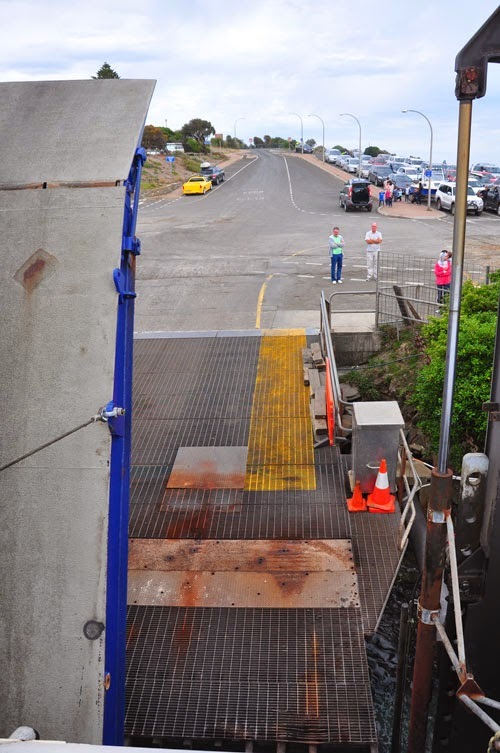 Do this as soon as you arrive as it will be busy if there are coachloads of passengers arriving in from Adelaide! 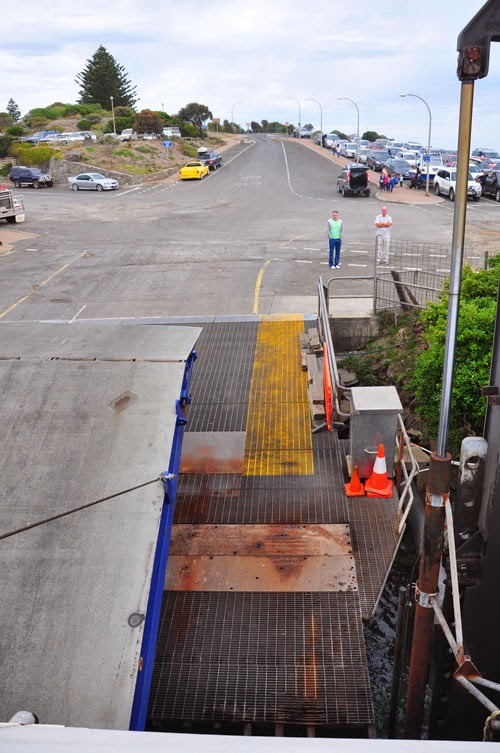 The passenger will need to walk on to the ferry, the driver of the vehicle is the only one permitted to be in the vehicle when boarding. 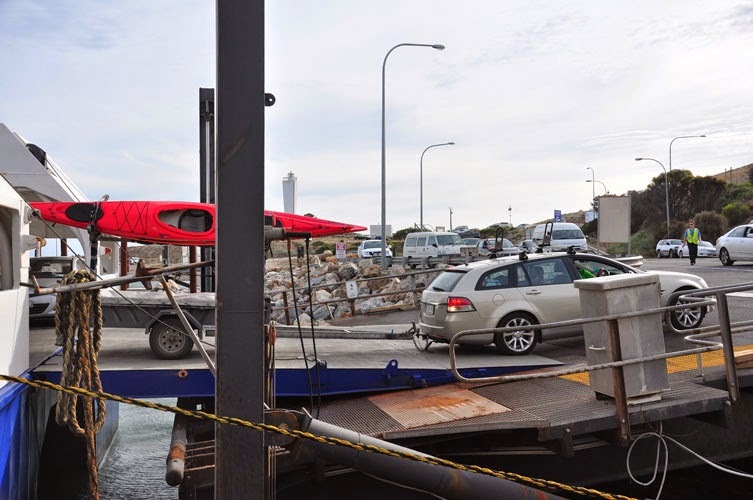 SeaLink also advise you to take out insurance for the crossing. 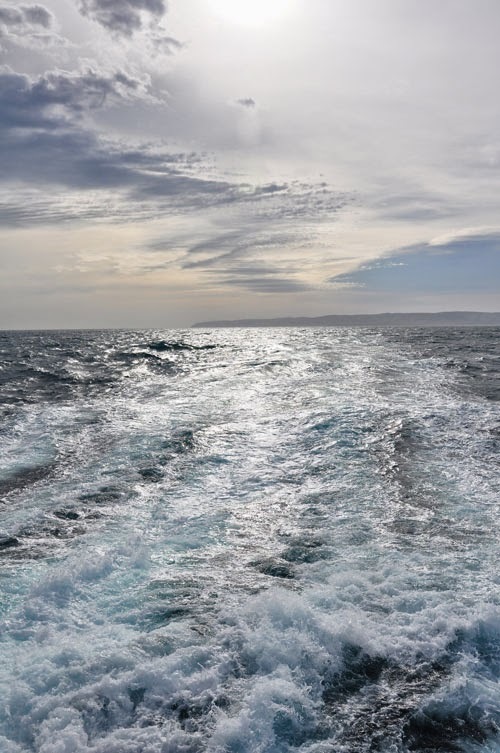 The Ferry can be cancelled at a moments notice due to bad weather etc and it would be an expensive journey if you did not have insurance to cover you for accommodation and or another Ferry Ticket! Our ticket cost us $428.00 return. That included two adults, one small car and our insurance. We found it to be a pleasant 45 min journey both ways.